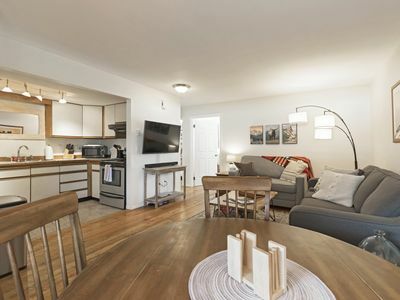 3 Bd 2 Ba unit on Big Mountain! 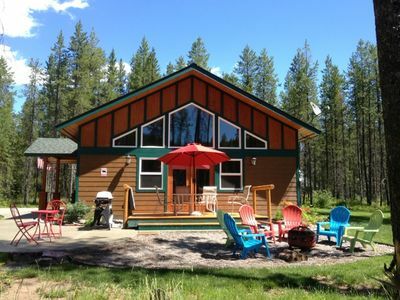 Close to Alpine Slide, Zip Lines, Trails & More! 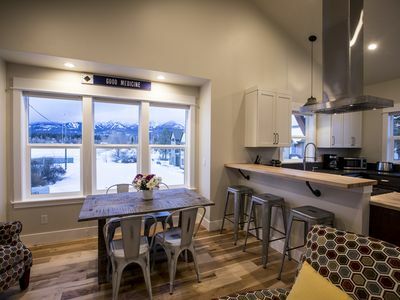 This ski-in ski-out* unit is one of the very best locations on the mountain and is in the heart of one of Montana’s finest ski resorts. 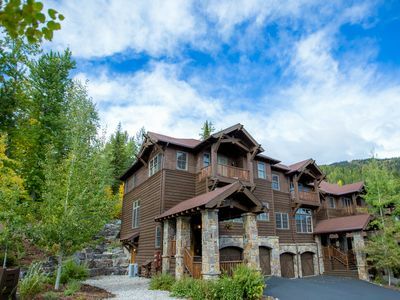 Just 100 yards to the Home Again ski run that takes you to the base lodge where you can enjoy some world class skiing. The resort is well known for a pleasant lack of lift lines as for its consistently good snow conditions, on average 300 inches a year! When the snow melts, Whitefish Mountain Resort becomes home to thrilling zip lines and an alpine slide, world-class downhill and cross-country mountain biking, in addition to spectacular hiking, golfing, water sports, fly fishing, whitewater rafting and Glacier National Park, it is the perfect base camp for a summer visit to Montana’s majestic Flathead Valley. This is your four season destination place! 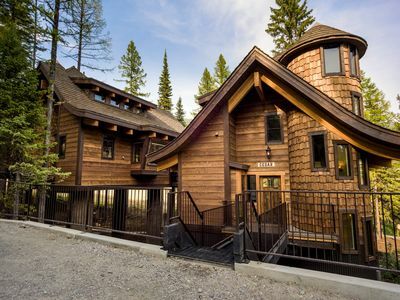 This home is just a 10-minute drive away from historic Downtown Whitefish. If you enjoy shopping, this is the place for you! There are many Clothing, Souvenir and Antique shops for you to enjoy. 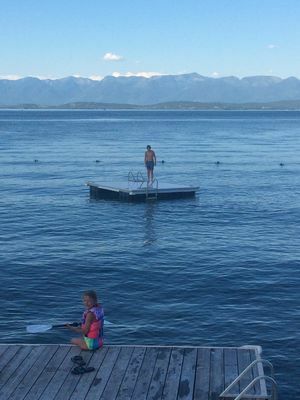 Take pleasure in some of the finest restaurants that the Flathead Valley has to offer! 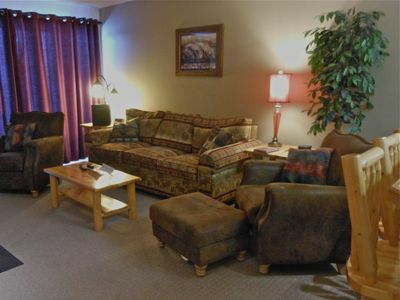 This 3 bedroom unit has large windows for ample light and spectacular views of the Mountain. 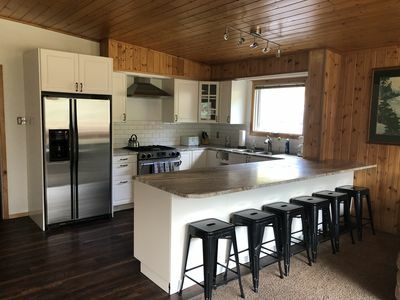 Spacious Kitchen with brand new countertops and six bar stools at the island for dining. 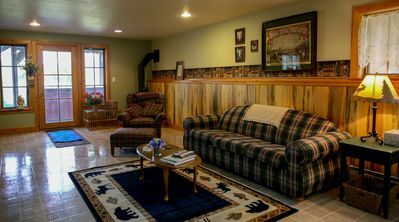 The living room has a wood stove and a comfortable couch with a flat screen TV. 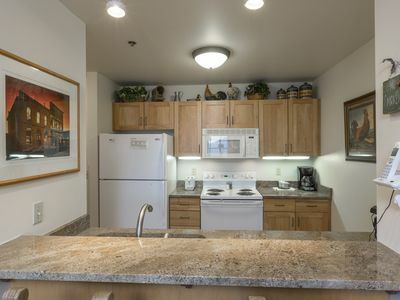 Two bedrooms have queen-size beds and closets for storage. Bedroom #1 has a room off of it with a sofa sleeper for additional sleepers! 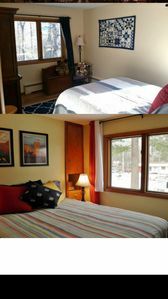 The third bedroom is great for the kids as it has a twin over twin bunk bed! 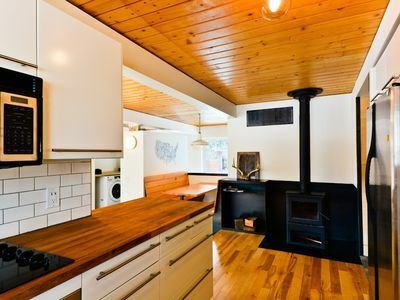 There are two bathrooms in the property as well. This is a 4-plex building with a coin-op laundry for the units to use while staying at the complex. 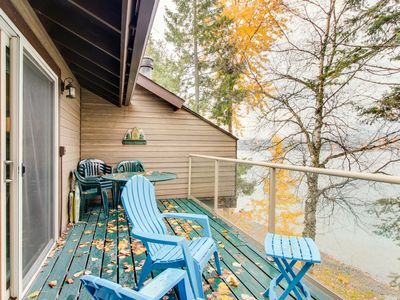 Your stay also includes a heated ski closet for storage of your ski’s and other equipment. 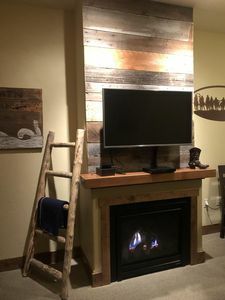 You are right near the center of Whitefish Mountain Resort village with only a 3-minute walk to Kandahar Lodge Restaurant with a gourmet menu and bar. ***International Travelers will be charged a 5% admin fee instead of the flat domestic rate. Rates are USD. 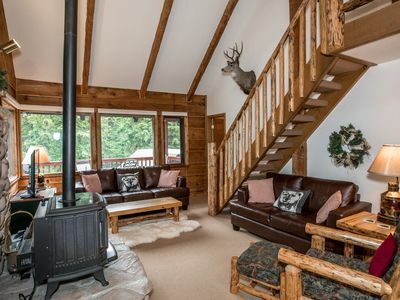 *No smoking or parties are permitted at this property. MORE DATES OPEN!! 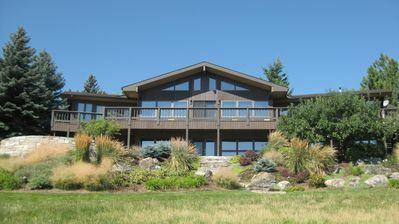 - Orchard House - On the Lake with a boat dock. 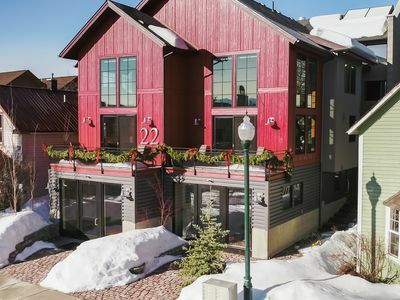 Stunning Slopeside Ski-in Ski-out townhouse! 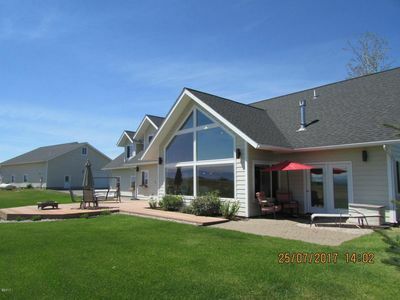 4 BD 4.5 BA with private Hot Tub! 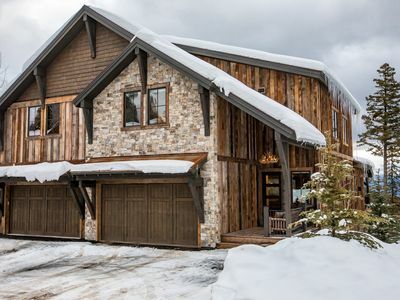 Luxury meets Rustic Charm in this 4BR Ski House on Big Mountain! 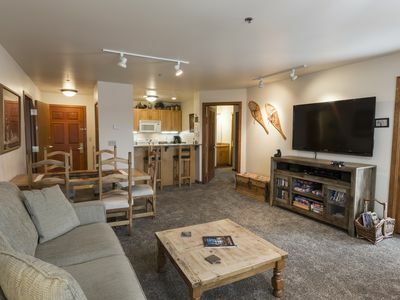 Luxury 1BR unit in Downtown Whitefish—Stunning Big Mountain Views! 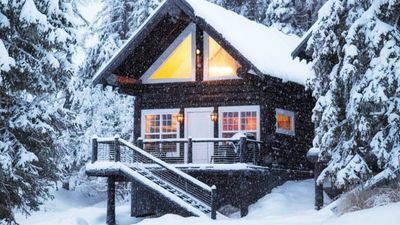 Sleeps 4!